I have spent the last ten weeks building a new concept for a car showroom that has now opened on Ashley Road, Parkstone. New for a number of reasons, my new car dealership is doing things differently. With over 20 years experience in the industry and the blessing of lots of happy customers, I decided I wanted to do something a little bit different and capitalize on my knowledge and wealth of experience to give you a traditional car dealership, with a few modern twists. My team are experts in motor finance, so we can advise you on the best way to go about achieving the dream car you have always wanted, or getting you on the road with that all important first car. We offer a more consultative approach where you can pop in, have a coffee and then work out which is the best solution for you. 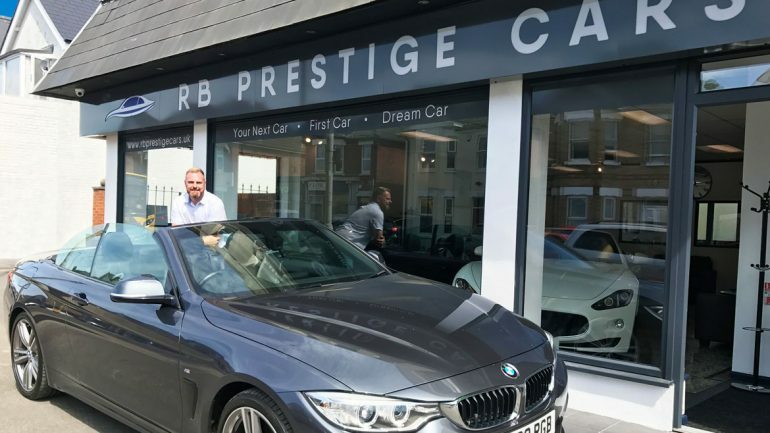 I handle everything personally in-house, whether you are buying a car from RB Prestige’s stock or utilising our extensive contacts to find and supply your perfect car. It’s a unique way to approach the busy used car market, as it can be a daunting and complicated place to be. RB Prestige, as you would expect, is an extremely friendly and easy place to come to. I want to make sure that you enjoy the whole process from start to finish and that you are really happy with your new car…offering a prestige service to everyone whether they are buying a small car, first car, their next car or that dream super car. The focus is on the customer and their needs. It’s about you finding the perfect car for your lifestyle and expectations, at the right price and with one eye firmly on what the future might hold. It’s car buying made fun again! Rob is back and will be featuring all sorts of content here in House over the coming months. Feel free to pop in to see his new set up and immerse yourself in the definitive car buying experience. Should You Hire An Office Interior Designer? Visjeune: 10 ways to improve your self-confidence this summer!